Are you ready for Spring?! We are!! We are so excited to announce that we will be hosting a trunk show at Jack and Milly in downtown Milledgeville in three weeks!! This will be a great time to pick up some items for Spring. We will have preppy and fun seersucker items that can be monogrammed– hello Spring Break! We will also have Lisi Lerch earrings that will be perfect for all of your upcoming outfits. 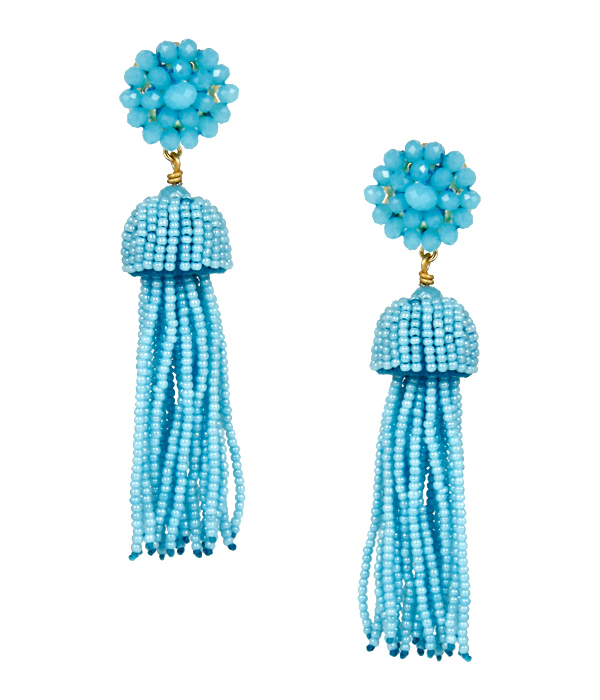 We cannot get enough of the tassels! Graduating? Engaged? We will also have paper items so you can order your thank you notes and notepads for all those upcoming lists you will be making. Please make plans to join us on Thursday, March 9 from 5:00 to 8:00! We will have sips and snacks.